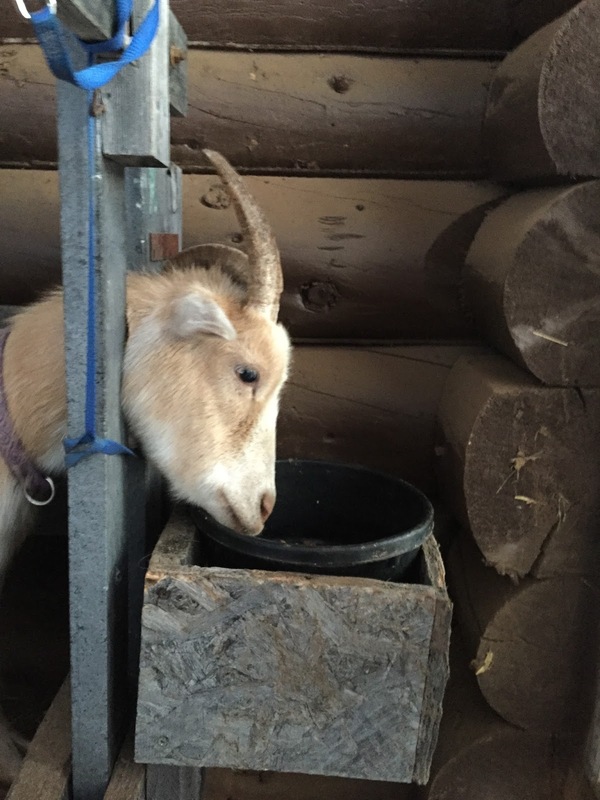 So, goat life has been a little exciting the last few weeks since Slingshot, or his new name Jaime, has been born. Slingshot went to a fabulous home 4 days after he was born where he now lives in a toasty warm house with four dogs to keep him company. But him leaving so much sooner than we were expecting put our milking up by several weeks. 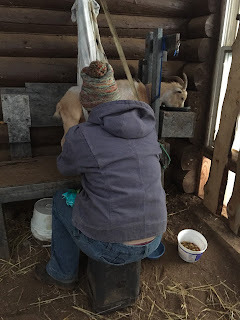 Now, I knew that she might be hard to milk since she is most likely 6 years old and has never really been milked, but just how much of an adventure we were going to have was not expected. 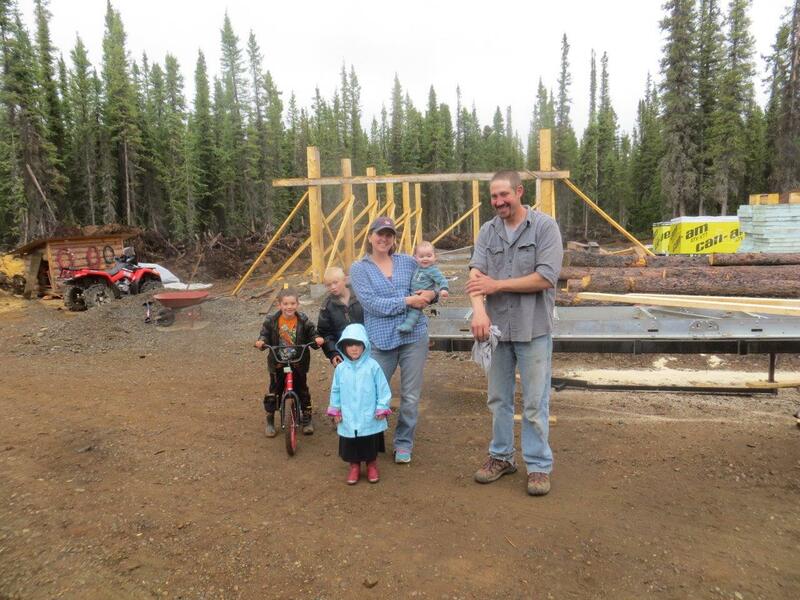 We scrambled to get a stanchion quick and luckily had a friend who had one on her property she bought. It's been out in the weather and needs some repairs, but it works. The first week was promising. 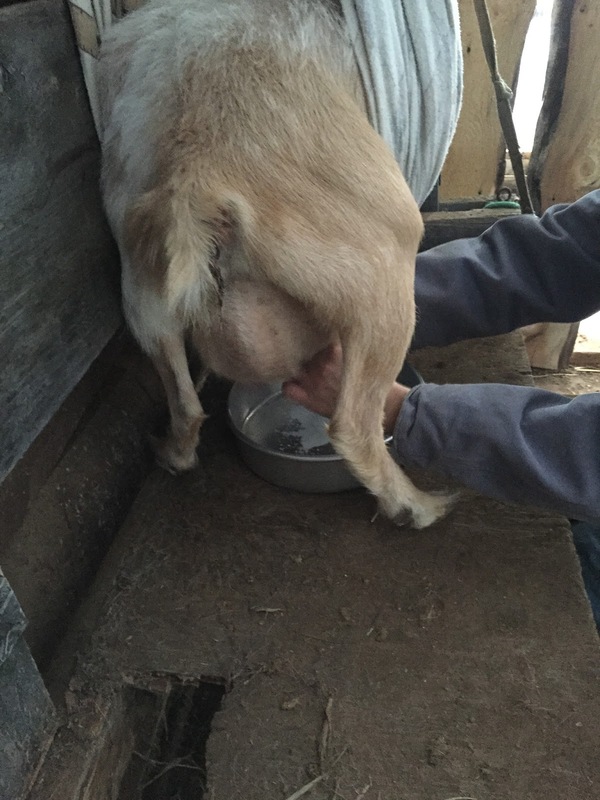 Tucker had to hold her back leg, but if I milked her fast enough, she'd just kick a bunch. 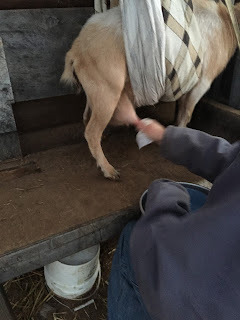 She's only milking well on one side (I need to tape her teat up to see if her or Jackie are nursing on her or if it's a collapsed udder), but even with only one side getting milked, we were getting around 19 ounces per milking, about 3/4 of a quart. Pretty good for a dwarf goat!!! See my bucket stand waiting underneath. 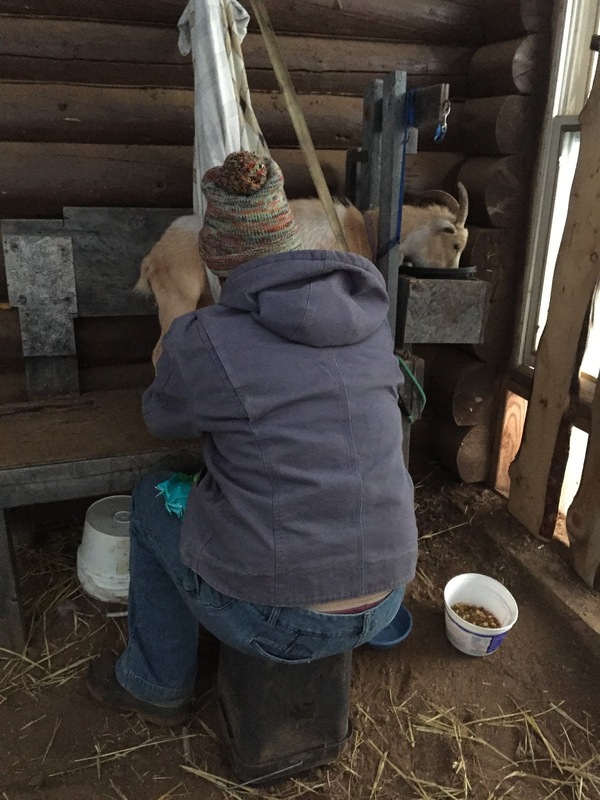 Then last week, she decided she wasn't going to put up with this milking thing anymore. And the power struggle began. She'd lay down. I'd lift her up. She'd lay down. I started strapping her up from under the belly. 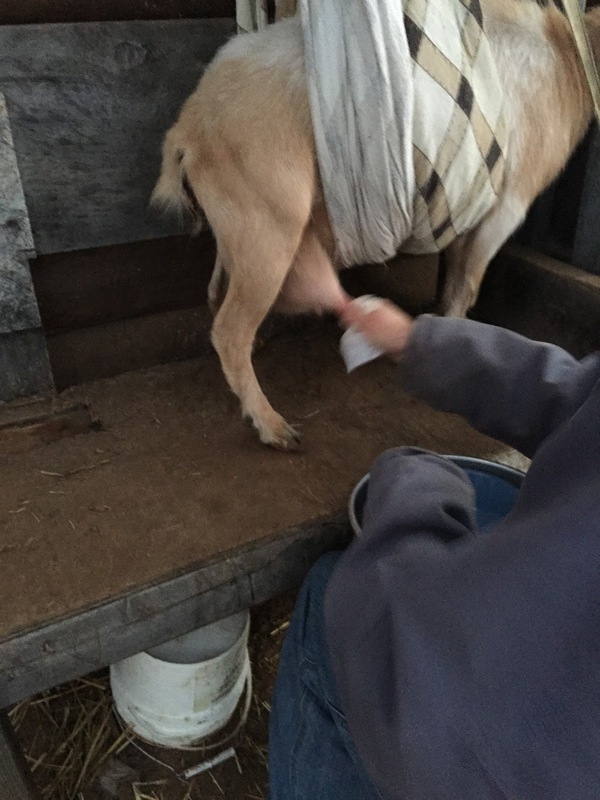 Then she'd milk for a while, then try to lay down with the strap cutting through her middle and bleat....horribly. I would put my arm under her like a kickstand and milk one handed. Not very comfortable. 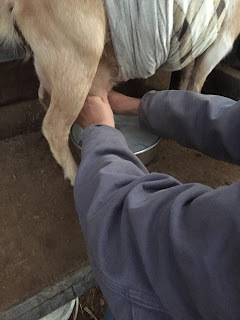 Milking into the 9 inch cake pan....that's worked the best. Then by the end of the week, though I didn't think it was possible, it got worst. 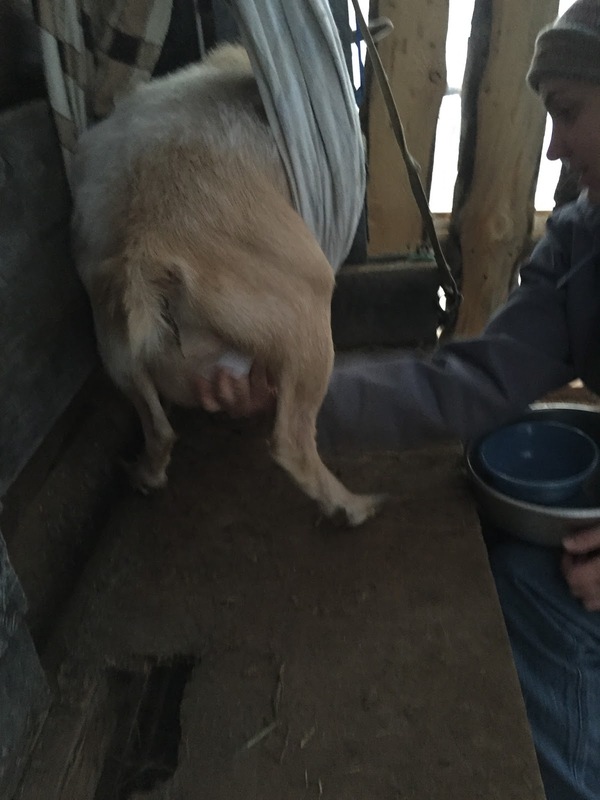 She'd start out at the beginning, laying down, bleating like we were killing her, and kicking so much I thought Tucker's arm was going to be ripped off. So yesterday we tried a sling system. I found an old sheet, tied the ends together in a knot, ran our strap through the top, then pulled her up. We also had to use a bungee to anchor the strap. Under her chin, I wrapped a leash around the head trap to keep her from moving her head down. It worked great.....for about 1/2 of the milking. I hadn't pulled the sling tight enough, so she could still lay down. So I ended up with a bucket under her chest, my head pushing her into the wall, and her kicking my head and pulling my hair. Not what I would call fun. However, I've been told by more than one person that around a month of sticking it out the goat will decide to go with it, so I'm not wanting to give up quite yet. Last night, was better. I wrapped the strapped different so I could lift her higher, pretty much on her tiptoes and we got her completely milked out. This morning....even easier! So.....I'm hoping we have found the ticket. I'll keep you updated! Can you see the sheet and strap slinging her up? Reminds me of a stork bringing her home. The leash under her chin.